Tag Archives for " Dubai Airport "
Aufgrund von Modernisierungsmaßnahmen wird die südliche Start und Landebahn in Dubai geschlossen. Deshalb muss Emirates Airlines seinen Flugplan ausdünnen und über 100 Verbindungen streichen. In Dubai wird die Start- und Landebahn zwischen dem 16. April und dem 30. Mai 2019 für 45 Tage geschlossen, um umfangreiche Modernisierungmaßnahmen durchzuführen, einschließlich einer kompletten Oberflächenerneuerung und der Erneuerung der Bodenbeleuchtung des Flughafenvorfelds und der unterstützenden Infrastruktur. Die Wartungsarbeiten wurden im Februar 2018 angekündigt, um den Fluggesellschaften mehr als ein Jahr Zeit zu geben. Der Flughafen Dubai sagt, dass die Termine für die Modernisierungsarbeiten für einen Zeitraum gewählt worden seien, in dem “der Personenverkehr historisch aufgrund einer saisonalen Flaute abebbt”. Die südliche Start und Landebahn wird 45 Tage lang erneuert. 2018 wurde schon eine Liste der betroffenen Flüge veröffentlicht, das war die erste Planung. Hier geht es zu der Liste. Es sind über 100 Verbindungen betroffen. Hier ist es den original Pressetext. Wer in diesem Zeitraum mit Emirates fliegt, sollte sich seine Flüge genau ansehen, ob diese noch wie gebucht stattfinden. Oft werden Flüge zusammengelegt und man dann umgebucht. Also Achtung! 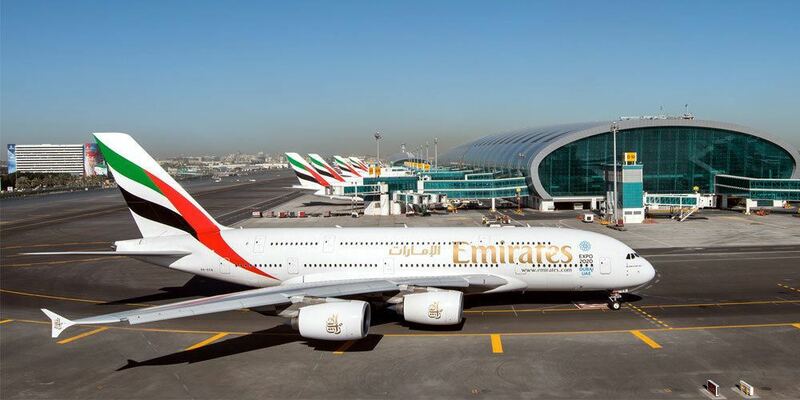 Dubai, U.A.E., 12 January 2019 – Emirates has announced adjustments to its operational schedules in 2019 to minimise the impact of the closure of Dubai International Airport’s Southern Runway in April and May 2019, and to respond to global travel demand trends. The airline also outlined its fleet plans for the year. Casablanca, Morocco: Emirates will operate a second daily flight starting 01 June 2019 to Casablanca. The service will be operated by Emirates’ Boeing 777-300ER aircraft which will complement the airline’s existing daily Airbus A380 flight. Abuja, Nigeria: Three additional flights will be operated every week on Emirates’ Boeing 777-300ER aircraft to Abuja starting 01 June 2019 increasing the frequency to the Nigerian city to a daily service. Accra, Ghana: Emirates will also augment its current flight frequency to the Ghanaian capital with four additional Boeing 777-300ER flights a week bringing Emirates’ total service to 11 weekly flights to Accra effective 02 June 2019. Conakry, Guinea and Dakar, Senegal: The capitals of Guinea and Senegal will be serviced by one additional linked flight every week starting 01 June 2019 on Emirates’ Boeing 777-300ER aircraft. Rome, Italy: The Italian capital will be served by three daily Emirates flights between 31 March and 26 October. The third additional flight, operated with a Boeing 777-300ER, will be suspended during the Dubai Airport Southern Runway closure. Stockholm, Sweden: Emirates will provide additional capacity to Sweden during July and August 2019 with a double daily service on its Boeing 777-300ER aircraft. This will allow additional passengers to travel to and from the Swedish capital during the peak summer season. Zagreb, Croatia: As part of the strategic partnership between Emirates and flydubai, Emirates will once again begin operating its Boeing 777-300ER daily to Zagreb from 31 March until 26 October 2019. The daily service will be reduced to four times a week during the Dubai Airport Southern Runway closure. Boston, USA: Emirates’ customers travelling to Boston will be able to experience the world’s largest commercial aircraft famed for its Onboard Lounge accessible to First and Business Class passengers as well as the Onboard Shower Spas for First Class customers. Emirates’ A380 will operate to Boston between 01 June and 30 September 2019 and between 01 December 2019 and 31 January 2020 to accommodate the increased seasonal demand in travel to the US East Coast. Glasgow, UK: Emirates will fly its flagship double-decker aircraft to Scotland for the first time between 16 April and 31 May 2019. The Emirates A380 daily service, with a total capacity of 489 seats, will replace the double daily Boeing 777-300ER service during the Dubai Airport Runway closure. From 1 June 2019 until 30 September 2019, Emirates will resume operating a double-daily service to Glasgow with one daily Boeing 777-300ER and one Airbus A380, offering additional capacity to meet increased travel demand during the summer season. Emirates will also adjust its services into South America to optimise fleet utilisation. From 1 June 2019, the airline will deploy its newly refurbished two-class Boeing 777-200LR on its daily service from Dubai to Rio de Janeiro. Offering wider Business Class seats laid out in 2-2-2 format and refreshed seats in Economy Class, this service will continue from Rio de Janeiro to the Argentinian capital city of Buenos Aires four times a week, and on the remaining three days it will operate onwards to Santiago, Chile. With this change, Emirates will suspend its linked flight from Dubai to Santiago via Sao Paulo. Sao Paulo will continue to be served with a daily non-stop Airbus A380 service to and from Dubai. With a view to providing more efficient and direct connection options for customers travelling to and from Australia, Emirates will suspend flights EK 418/419 between Bangkok and Sydney from 01 June 2019. Emirates will continue to serve Sydney with three flights a day non-stop to Dubai, and Emirates’ customers wishing to travel between Bangkok and Sydney will have flight choices provided by Emirates’ partner Qantas. Effective 31 March 2019, Emirates will suspend EK 424/425 and serve Perth with a once daily Airbus A380 service non-stop from Dubai. Emirates customers travelling from Perth will continue to enjoy rapid two-way connections through Dubai to over 38 destinations in Europe, and a further 16 cities in Europe via Emirates’ codeshare partner flydubai. Customers will also be able to enjoy a seamless Emirates A380 experience between Perth and close to 20 destinations in Europe.